Darksword Trilogy: Forging the Darksword (1987), Doom of the Darksword (1988), Triumph of the Darksword (1988). 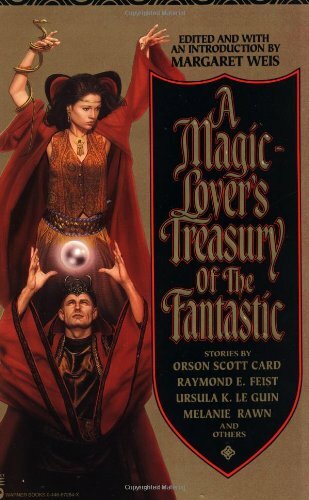 I realize they are better known for some of the mass market, D&D-style fantasy, but these books are actually very good, despite the authors' reputation in the pulp sci-fi genre where people purchase books by the likes of William Shatner. The Rose of the Prophet is definitely Arabic in flavor, and is quite good. I have noticed that although there have been several writers who have create a world that seems to reflect the Orient, I have found few authors who create a world with a Middle Eastern flavor. 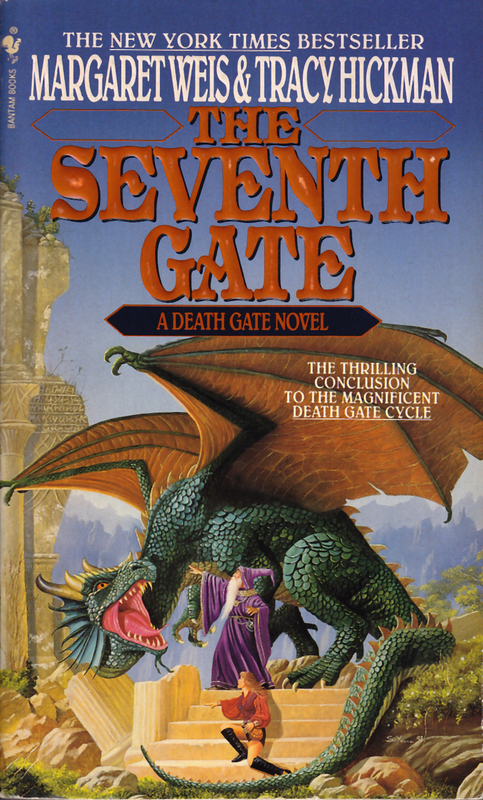 It had been years since I'd read the Death Gate cycle, mostly because 7 books is a lot to read for someone who has to complete an entire series as quickly as possible. 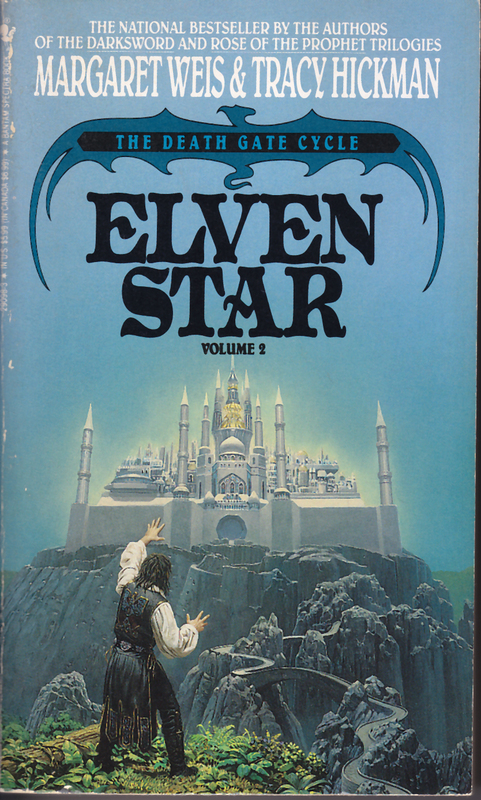 One of the things I'd forgotten about the books, is how good the story was. Which is of course a problem. When a story really draws me in, I read at a furious pace that I typically regret. There is something to be said for a leisurely read of a story, taking time to enjoy the characters and scenery. But if the story is really good, I tear through it because I have to know what happens. Apparently, it had been too long since I'd read these because, because I didn't remember what happened, so I was frantic to find out.This somewhat lessens my enjoyment of a book, and definitely cuts into my sleeptime, as I end up staying up past my bedtime. The solution is, of course, to read the books again, but I may hold off on that for a year or so, and get some other books read in the interim. 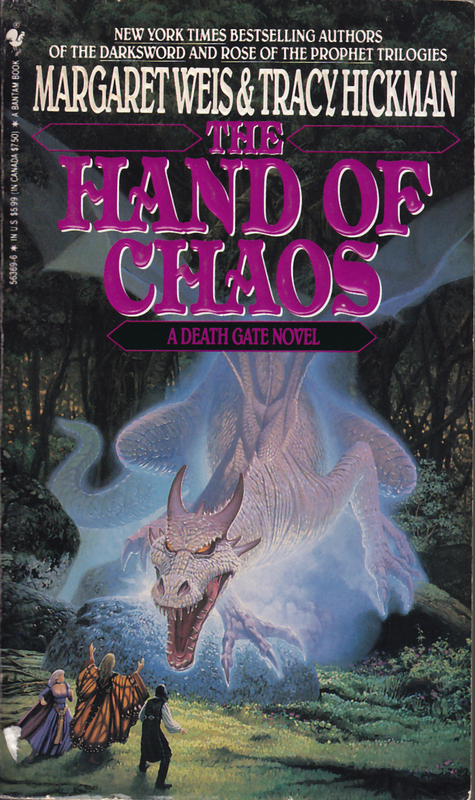 The Death Gate cycle consists of seven books: Dragon Wing, Elven Star, Fire Sea, Serpent Mage, Into the Labyrinth, The Hand of Chaos, The Seventh Gate. Two characters runs through all seven books, Haplo the Patryn and Dog. 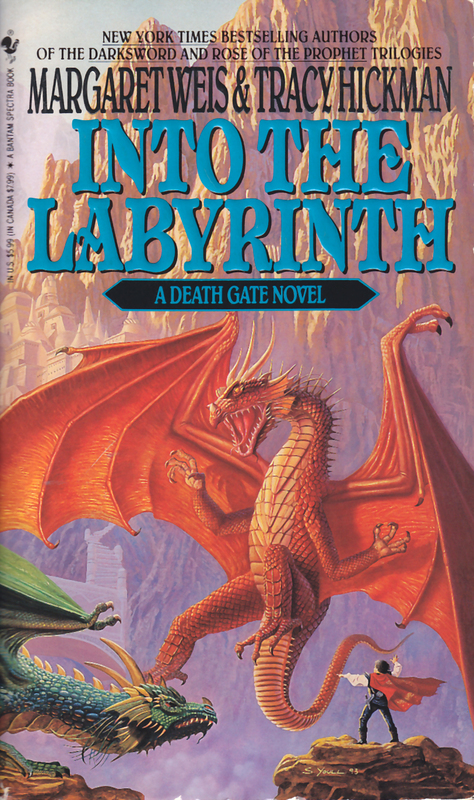 The Patryns have spent decades trapped in the Labyrinth, a world created by the Sartans as a place of rehabilitation, to "cure" the Patryns of their desire to rule the world and its population.The Labyrinth, however, spiraled out of control and became a deadly trap for those trapped within, a land that did its best to kill those within. Haplo has escaped the Labyrinth with the assistance of his lord, Xar, the first Patryn ever to escape and take up residence in the Nexus, the place created as a home for the Patrynsafter they were rehabilitated and left the Labyrinth. 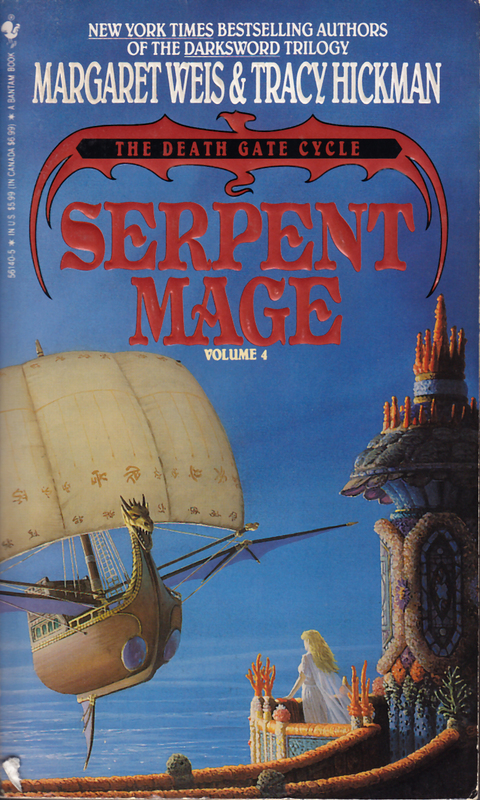 Xar sends Haplo to visit the other worlds, and to sow dissent so that the Patryns can defeat the Sartan and gain control of the four worlds: Arianus, Pryan, Abarrach, and Chelestra. During his journeys, Haplo meets a variety of mensch (humans, elves, and dwarves), the races that populate the four worlds. Alfred, who appears in the firstbook will have the greatest effect, for good or evil, upon Haplo and his mission. Besides Haplo, the Dog, and Alfred, Zifnab is one of my favorite characters. 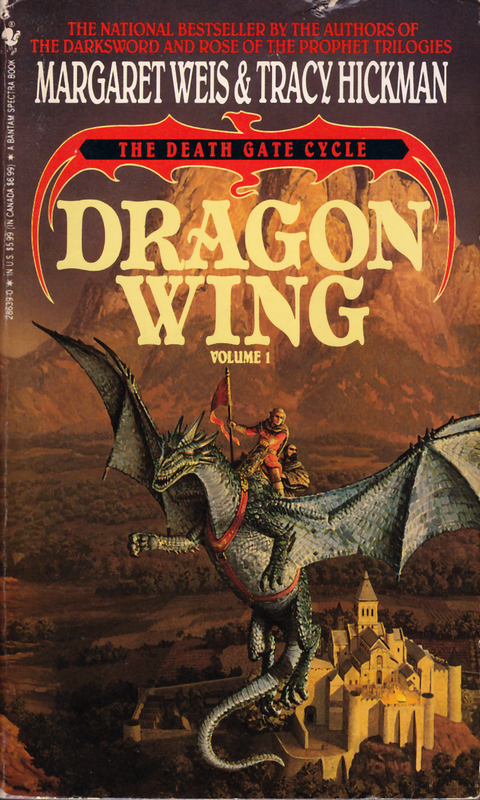 He appears in Dragon Wing, a daft old wizard with insane comments and pronouncements. He speaks of everyone from James Bond, to Gandalf, to Dorothy, saying things that are far outside the storyline, yet are easily recognizable to the reader. It's like being in on a joke that no one else gets it. 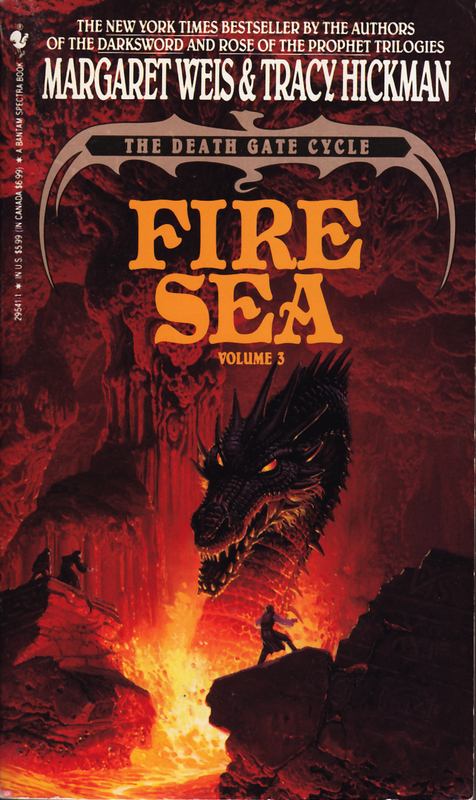 At the start of the series, it is stated that the first four books are meant to be able to stand alone, while the final three books pull together characters and worlds from the other books. Although this is true, I believe that it is far more rewarding to read the books in order, for although you could read books two, three, and four out of order, I think it is far more rewarding to see the changes in the characters. 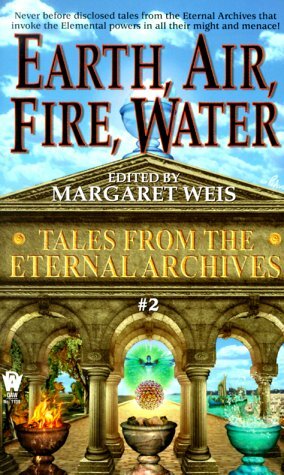 Although most of the books were published more than a decade ago, they are still available, at least through Amazon, and I'd recommend them to anyone, of any age, who loves fantasy.